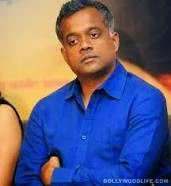 In a recent interview, Gautham Menon has spoken about Ajith, Yennai Arindhaal, Suriya's Dhruva Natchathiram and much more. When asked why Dhruva Natchathiram was shelved, he has revealed that he did not find enough support from the Vaaranam Aayiram actor to keep the project alive. After dishing out two successful films(Kaaka Kaaka and Vaaranam Aayiram) with Suriya in the lead, Gautham started his pet project Dhruva Natchathiram when he ran into trouble. Suriya's lack of support meant the film had to be dropped which in turn became Gautham's huge set back. "I didn't have the financial stability and I ended up working with the wrong people who turned against me and filed all these crazy cases. And somebody whom I thought was a friend, Suriya, who completely recognized that I'd be able to pull off something with the script, didn't actually come forward and give his nod to the script I wanted him to be in. It(the script) would've been something very new-age and different," he said. On questioning with whom he would like to work in the future, the Yennai Arindhaal director said his wish list includes Rajinikanth and Amitabh Bachchan. "I'd also like to work with Kamal sir once again and after having worked with Ajith now, I'm dying to work with him again." he added.